The insulating silicone grease for claymount high voltage cable joint is made of modified silicone oil and ultra-pure insulating filler with functional additives and processed by special technology for claymount high voltage cable. Insulating silicone grease has excellent resistance to high voltage, waterproof, creepage and other high-performance, used for 10 kV above the claymount high voltage cable joints and piezoelectric equipment insulation, sealing lubrication and moisture-proof role, and can reduce the weather caused by the aging of the material skin. The suitable temperature range is -40 to +200 C.
This insulated silicone grease claymount high voltage cable joint has excellent electrical insulation and chemical stability, high flash point, low solidification point, minimal change in consistency with temperature and never solidified, excellent lubricity and sealing, can be well compatible with most plastics and rubber, excellent water resistance, and aging resistance, weak acid and alkali resistance, so that The service life ofclaymount high voltage cable increases. 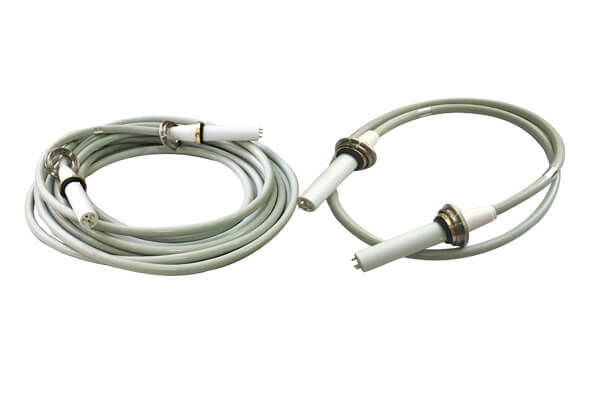 How to select the attachment of medical power cable?